Have a question for Dolce Vita Hotel? "The staff were very welcoming and accommodating to us." "Dolce Vita is a very good hotel if you plan to stay in Puert..."
Located at the heart of Puerto Princesa City, Dolce Vita Hotel is only 10 minutes away from Puerto Princesa Airport. 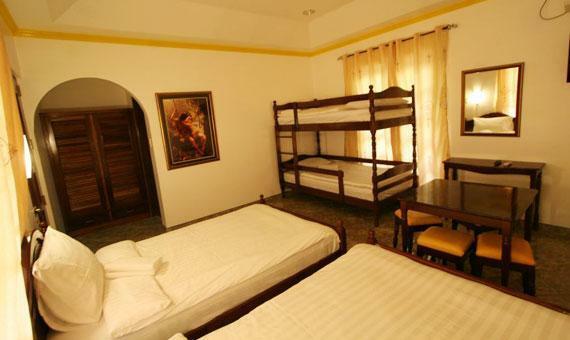 This hotel gives guests easy access to local attractions, including Puerto Princesa Subterranean River National Park, Puerto Princesa Bay, Immaculate Conception Cathedral, and Plaza Cuartel. With a cozy atmosphere, the hotel boasts 20 spacious guestrooms which are tastefully decorated and well equipped with all modern amenities to make your stay comfort. Offering a warm welcome and high standards of accommodation, this modern property is an ideal place for a comfortable stay. "Breakfast was good and tasty." Thank you for staying with us.Greatly appreciate your feedback! From the US, this was the most beautiful little resort of the places we stayed. The room, grounds, restaurant, and pool are fantastic. The prices are very reasonable. The food and service are very good at the open air restaurant. - Breakfast selection for hotel guests was very good. The staff is most helpful. Rides can be arranged to and from the airport. We will return as soon as we can! 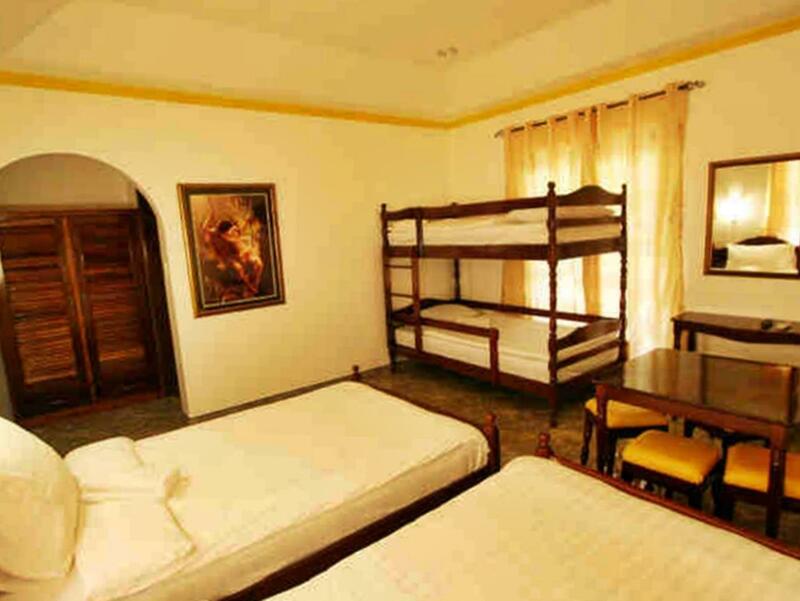 Dolce Vita is a very good hotel if you plan to stay in Puerto Princess City. It's strategic location gives you access to anywhere you want to go within the city. Their facilities are classy and cozy, and very well maintained. It's like the hotel is just new. They serve very good options for complimentary breakfast. Staffs are friendly and hospitable. We will plan to come back again when we return to Palawan. Thank you for staying with us .Greatly appreciate your feedback! We were extremely pleased with Dolce Vita Hotel. The staff was excellent. Rooms were spacious and clean. The restaurant serves top notch local dishes. The property is set back away from the noise and congestion. I highly recommend on your next trip to Puerto Princessa. The Dolce Vita hotel is very well located. The staff are friendly and hospitable. The rooms are clean and airy but there could be less cumbersome furniture. The hot water worked and the A/C was very effective. I found the food a bit bland and the breakfasts good value but a bit unimaginative. Thank you for staying with us.Greatly appreciate your feedback. Staff very accommodating... thank you! This hotel is an excellent location and is very good value for money. WIFI is excellent as well as all other services and staff are very helpful and friendly. Would definitely reccomend this place and would return. We enjoyed our stay at Dolce Vita.... we consider Dolce Vita as our second home😘..... To Ma'am Luz, down to her staff thank you very much for your good service .... very accommodating team ... Babalik kami for sure sa palawan and kayo pa din Dolce Vita Team ang aming number 1 na pupuntahan. In behalf of my family, we would like to express our deep gratitude for your good service with a heart☺☺☺☺☺☺☺ Highly recommended! Thank you for staying with us .Greatly appreciate your feedback. Looking forward to see you in the next few years...God Bless! Really not much to complain about. Very nice setting with plenty of trees in the well kept garden. Would suggest the use of bug repellant as there are quite a few mosquitoes due to the pool & darkened areas with many plants. Good service from the staff. One issue is the noisy banging doors from other guests in the annexe building where we stayed. No self closers or dampening means the front doors just slam shut - quite annoying if you need to sleep early. Thank you for staying with us,Greatly appreciate your feedback. The hotel location was perfect. Staffs were helpful. The family room was spacious. Our room was so cold and the beds are comfy. They also have unique Christmas decors which amazed us. Breakfast was awesome. We loved the Filipino style breakfast, specially the fried lamayo. Pool was great too. The only thing that is a bit annoying is the number of cats roaming around the area. But surely, we will recommend this hotel to our friends. I emailed my flight info at booking. And please confirm you have my info so that I know i'll be getting picked up. They emailed back they didn't have the info so I sent it all again. No response had to call them 15 mins after waiting and waited another 15 minutes for someone to show up. The Wifi only worked in lobby area and while I was there looking for place to go next day. A taxi pulled up with a new quest she gets out of the car mad because she also waited for a ride that never was there or on its way. Hotel worker said they never got her flight info either. So if your booking this hotel because of the free airport transfer do yourself a favor save the aggravation and book else where. Quiet oasis, with a little touch of opulence in the decor. Staff generally friendly, food quite good. However, after a day out we got back to find our room hadn't been cleaned; we were told that the staff were 'not allowed to go in the rooms' - which seems strange in a hotel. But they then arranged for it to be serviced: it seems you have to specifically ask them to do it, otherwise it doesn't get done. Wifi wasn't working in the rooms, so we had to sit in the lobby when we wanted to get online. It seems from previous reviews this is not just a short-term issue. Overall a pleasant enough stay in a quiet yet central location. The staff were very welcoming and accommodating to us. 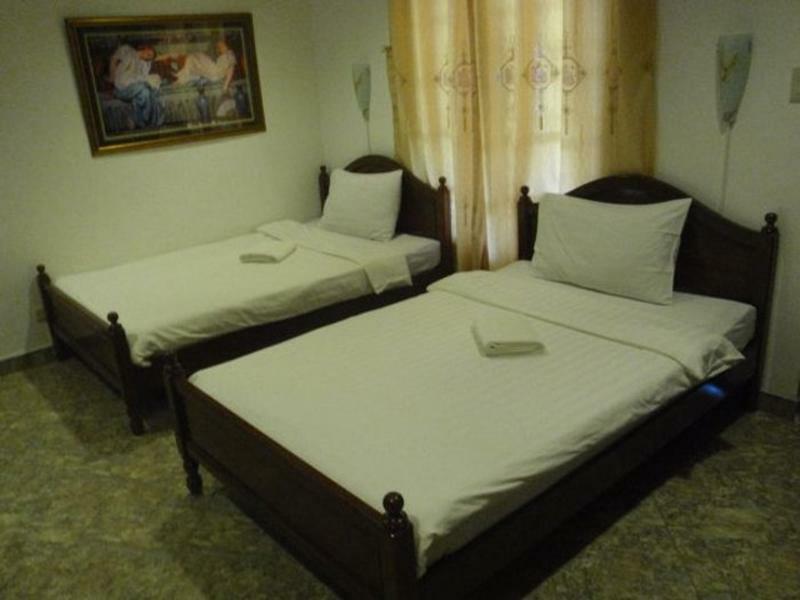 The room was clean and we also have our own refrigerator, table, hot and cold shower and many more facilities. Super thumbs up to this hotel! 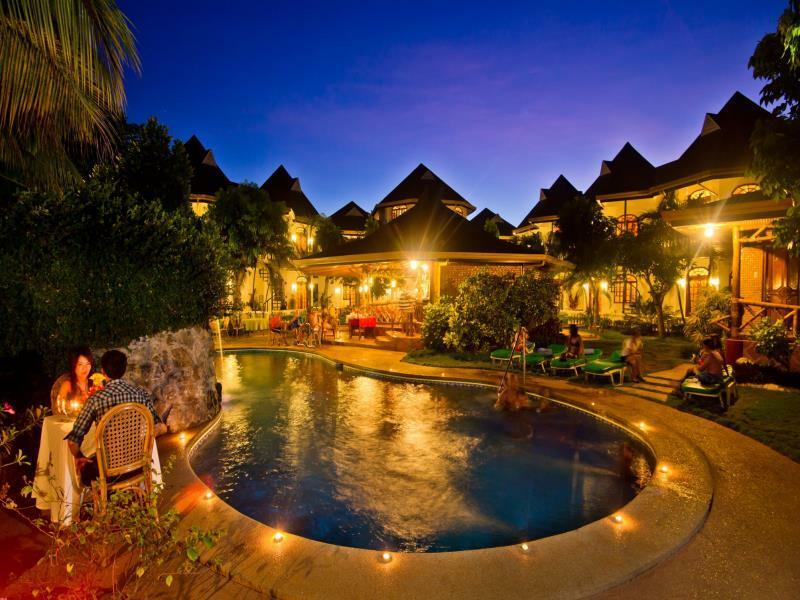 If you're looking for a place to stay in Puerto Princesa, this is the place to be! Very welcoming and fantastic staff. Rooms very spacious. Facilities were amazing with a pool and fantastic gym. Walkable from the airport tho they provide airport transfers. Free water and coffee or tea from the restaurant area all day. Inclusive breakfast was very good Waiter Ampaw was excellent! All the receptionist staff were very helpful. Comfortable, clean Italian old-world style rooms. Excellent set breakfast included. Convenient airport pick-up and delivery. A quiet and charming hotel. The only negative- it's off the beaten path. No restaurants or stores nearby but motorized trikes are readily available. Its a nice place to stay in. Staff are very nice and accommodating. Will definitely recommend this to my friends. Good job! We loved this hotel. The rooms are huge with lots of beds, it was just the two of us but it would be great for a family. The pool is a good size and the area is lovely, plenty of sun bed space and greenery. The breakfast is the best we'd had in the Philippines and we ate in the restaurant a few times and it was always good. The location is convenient for the airport and they offer a shuttle service, quite far from town though so you'll need to get a tricycle from the main road which was not an issue. But the best thing about this place is the staff, they were all extremely friendly, helpful and efficient from the reception staff to the waiters/bartenders to the security guard. All lovely people. Thank you for staying with us .Greatly appreciate your feedback. The staffs, location, cleanliness and ambience of this hotel are all excellent. If you wonder of anything, just ask the reception and they will help you. The hotel is just 10 minutes drive from the PPS airport and they offer free airport pick up and delivery. If you are going to Palawan and not willing to pay more than 5k pesos for nigjt, this is the place. They have everything and offer everything, from excellent service to good food and polite and friendly staffs. Experience the local style house called "bahay kubo" with modern facilities or octagon modern but classic decorated annex at the same time. I will book no otjer hotel if ever I come back, and I will.tjey have a pool, massage pergola, outdoor training, children friendly playground and table tennis. Thank you for staying with us ,Greatly appreciate your feedback.